Sakai is recognized as one of the industry’s leading manufacturers of vibratory compactors. Since their introduction in North America in 1976, Sakai compactors have grown to become some of the most state-of-the art rollers around, thanks to strict quality guidelines and exceptional service records. 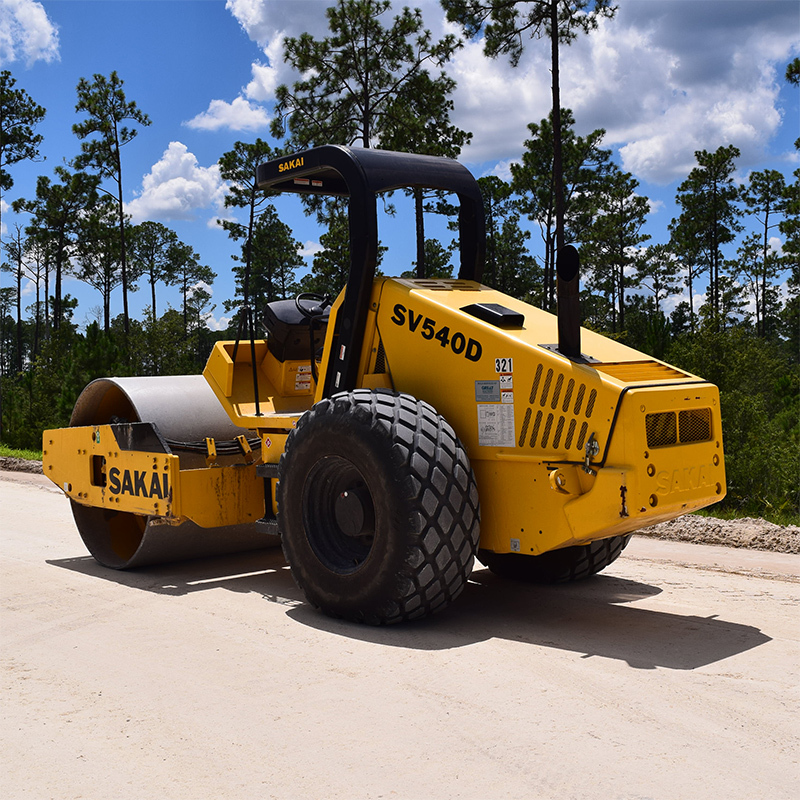 With a solid line-up of high force vibratory soil compactors and high frequency vibratory asphalt rollers, Sakai has become one of the strongest compaction product lines in America. Sakai offers a wide range of high force vibratory soil compactors designed for rapid compaction of all types of soil, rockfill, recycled base materials and soil cement at the lowest possible cost. They also offer a full complement of high frequency vibratory asphalt rollers for meeting density and smoothness requirements on HMA. Sakai differ from other static rollers by using vibratories that introduce a dynamic force that helps to generate a high compaction effect with far less effort at far less cost, instead of depending on the weight of them machine to generate the force required to compress materials. At May Heavy, we know that compacting to specifications is critical for soil, landfill, and paving applications, our selection of Sakai compactors and rollers can help you get the job done. Saki products are are durable and reliable. They offer high compaction performance and speed to maximize productivity. 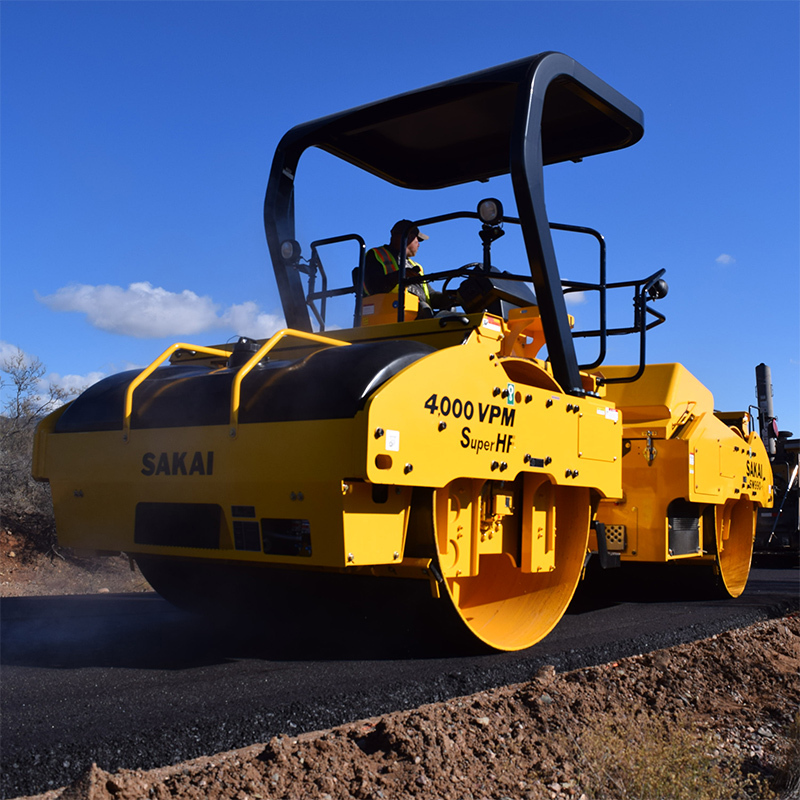 To learn more about compactors and rollers from Sakai or our heavy equipment service and repairs, contact May Heavy Equipment today and speak to a sales representative. May Heavy Equipment offers Sakai compaction equipment sales in SC and rentals in GA, SC, NC and VA.